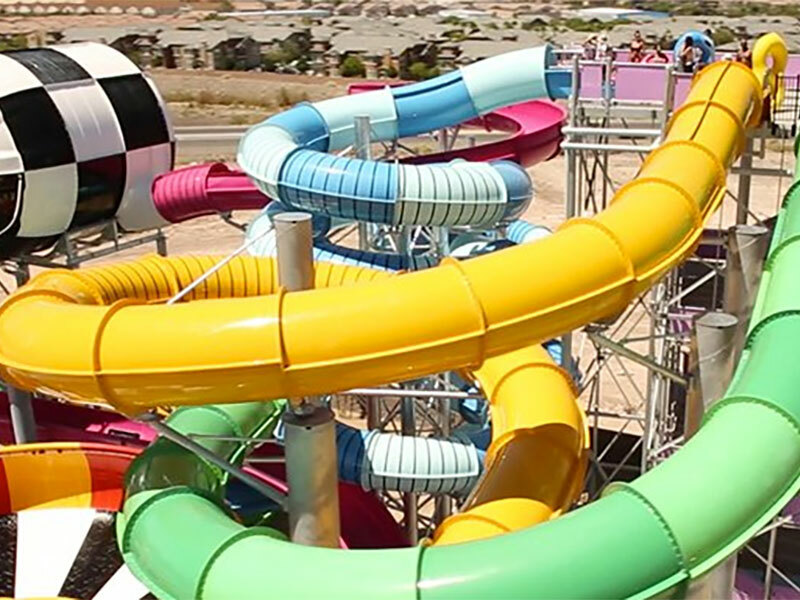 A 23-acre water park that features water slides, wave pools, and more. In Henderson near Sunset Station hotel. If you are looking for a good way to cool off on a hot day, then absolutely. 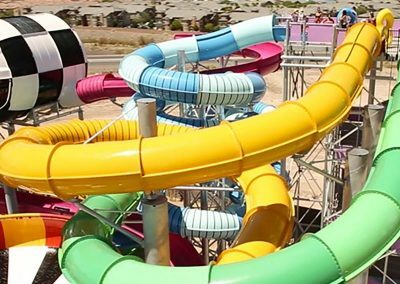 The wacky theme gives this water park a fun vibe. 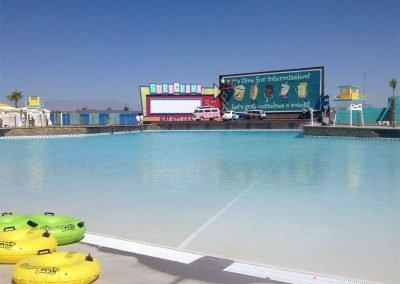 A water park in the hot Nevada desert seems like a no-brainer, but Las Vegas was without one for years after Wet ‘n’ Wild on The Strip closed. 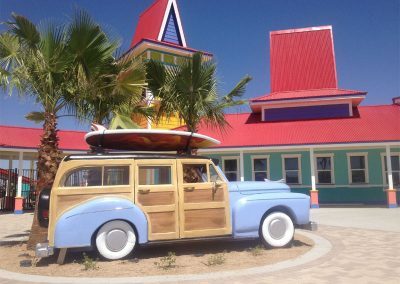 Now there are two, with another Wet ‘n’ Wild open on the west side of town and Cowbaunga Bay taking over the east side. 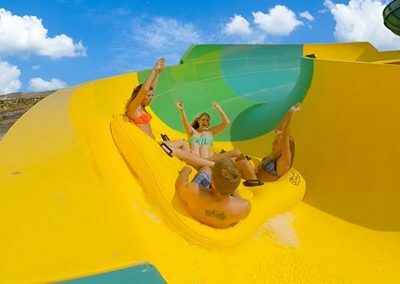 It’s a battle for water park dominance. Who will win? 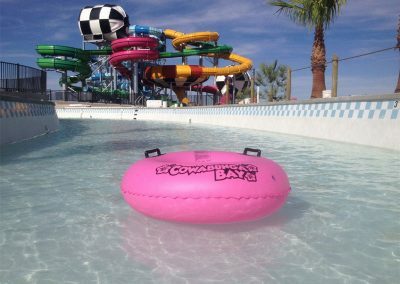 Cowabunga Bay is spread across 23 acres in Henderson, near the Sunset Station hotel and Galleria at Sunset mall if that means anything to you. Absent traffic it’s probably a 15-20 minute drive from The Strip, which makes it about the same distance as Wet ‘n’ Wild is on the other side of town so the distance category ends up being a draw. 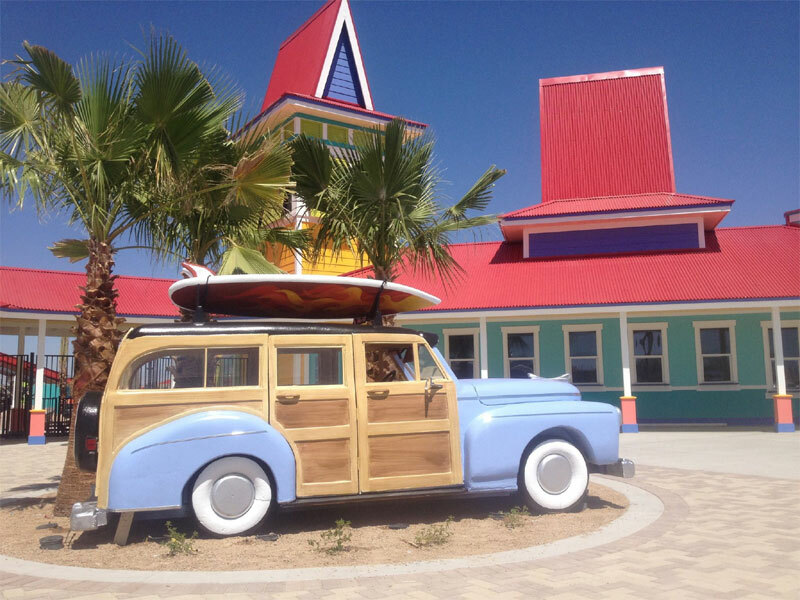 The facility has a fun 1950s, Frankie and Annette beach movie theme with a “dive in” movie theater setting at the wave pool and lots of bold, Surf City style colors. It’s all window dressing but it’s amusing window dressing and it gives the place a little bit more of a personality than Wet ‘n’ Wild has. 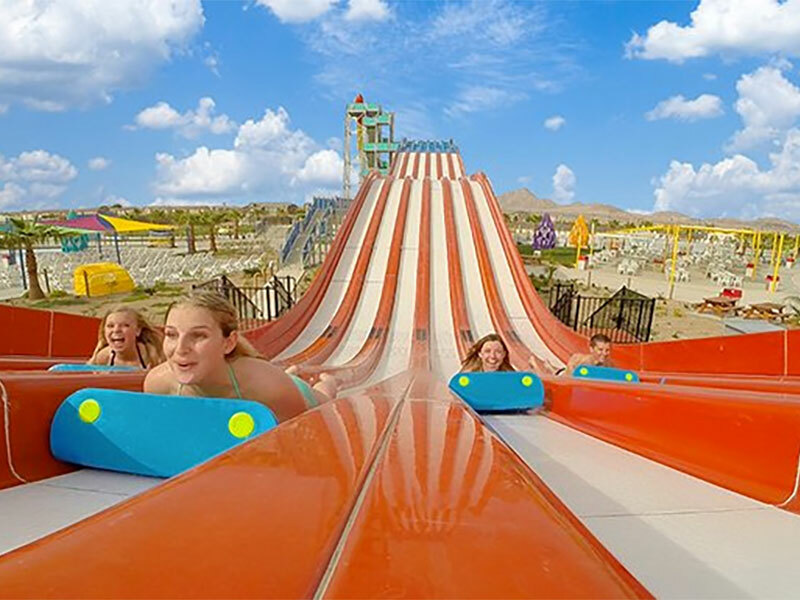 There are fewer slides here than at the competition but there are still more than a dozen different water attractions, the longest lazy river attraction in the state, an arcade, rental cabanas, food and drink, and more. Shade is at a premium, of course, so bring plenty of SPF 1000 for the blazing sun. 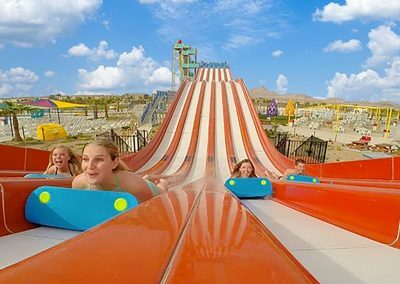 It’s also located more or less under one of the primary approaches for Las Vegas McCarran International Airport so plane noise can be a factor if you are sensitive to stuff like that, but most likely you’ll be too busy splashing around to ever notice. 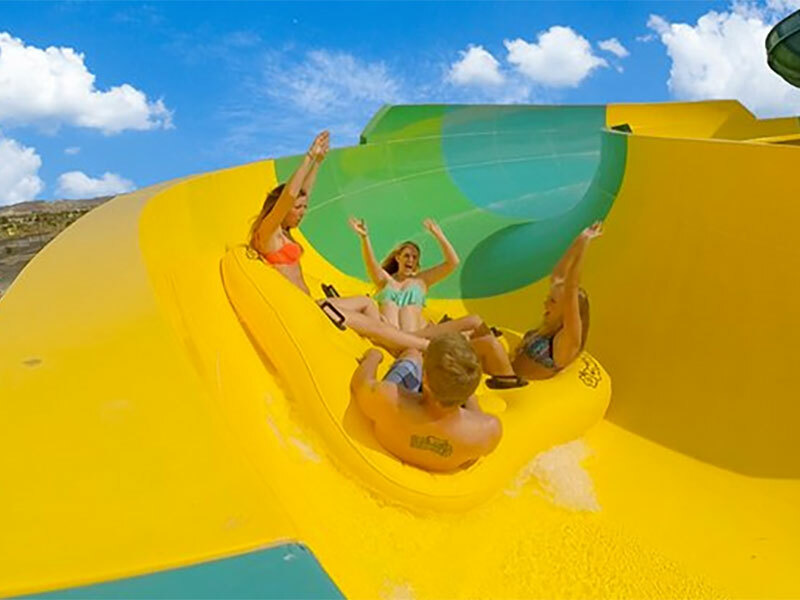 Prices are a few bucks cheaper at Cowbunga Bay than at Wet ‘n’ Wild – $40 for adults and $30 for kids plus you have pay a few bucks for parking and if you want a locker. Go after 4pm and you can get discounted admission. In the end, which one you choose is kind of a tossup. 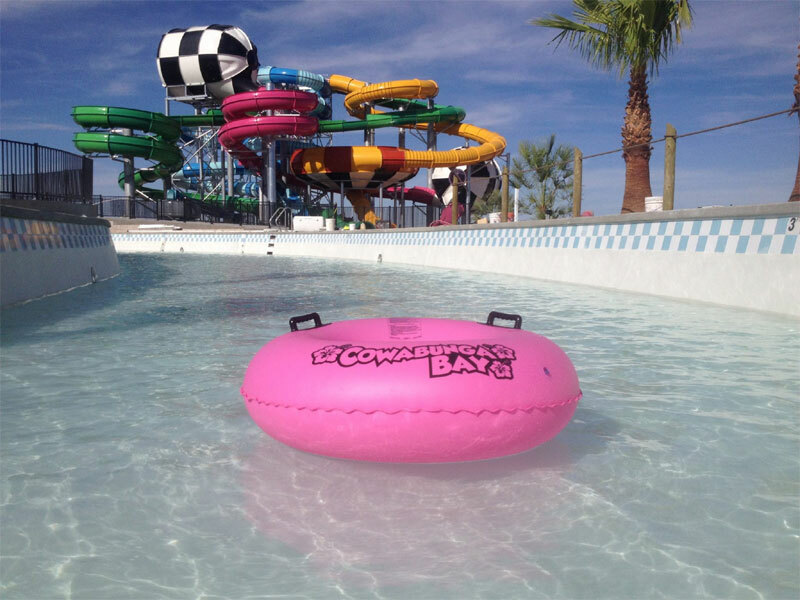 I like Wet ‘n’ Wild‘s lineup of attractions but think it is trumped by the fun atmosphere of Cowabunga. 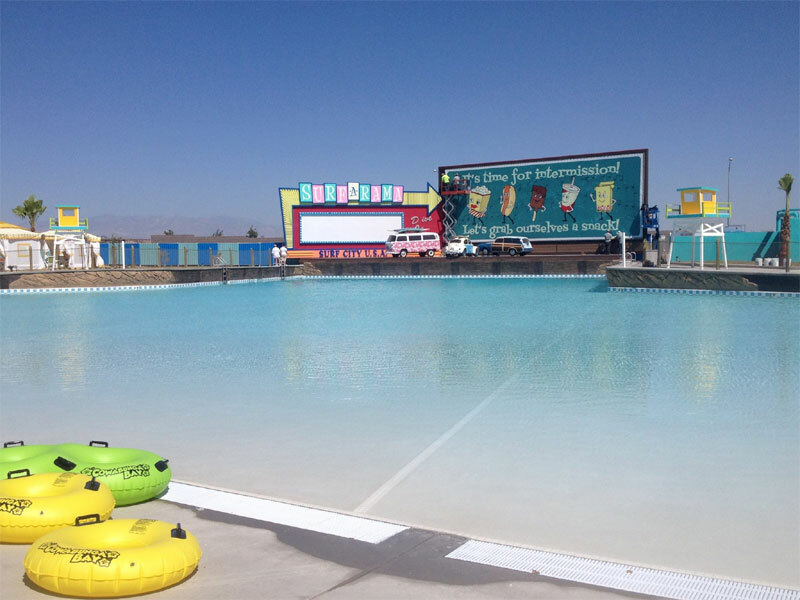 Maybe you can do them both – it gets awfully hot in Vegas and you could use a lot of cooling off.